Feb 09 Comments Off on How Is My Doctor Involved in My Home Care? How Is My Doctor Involved in My Home Care? Transitioning from full independence in your life to requiring home health care is experienced differently for everyone depending on age, living arrangements, health status, and personal preference. To make sure every patient receives services that best suit their needs, licensed home care service agencies like Edison Home Health Care involve primary care physicians and other types of health care professionals to develop care plans for their patients. Physicians work with patients, home health care agencies, and families to appropriately determine which services are needed, how many hours a week a patient would benefit from, and how the care should be delivered. If there is a change in health status, such as surgery, new medications and treatments, or a new diagnosis, doctors are instrumental in making sure the care plan is modified to accommodate any new medical need, including short-term support and rehabilitation services during recovery. Doctors works together with the patient’s home care agency to integrate clinical needs as they arise, including scheduled lab draws, injections, wound care, and assistance with activities of daily living (ADLs). Home Care services are a vital part of the patient’s overall health picture. Because home care staff visits clients frequently between doctor appointments, their reports help doctors understand how well the patient’s treatments and medications are working, and alert them to make changes or adjustments before significant problems arise. Home health caregivers do more than just assist with bathing, medication, or fall prevention; they monitor and assess client function with every visit, and relay changes or concerns to doctors when necessary. Close collaboration between doctors and home health care agencies like Edison Home Health Care allows clients to benefit the most from their home care while maintaining the highest possible level of independence. Having doctors closely involved with a patient’s home health care plan allows the plan to reflect the client’s unique clinical needs, functional capacity, and maximum potential to maintain their health. The focus of home health care plans is the patient’s health and safety; the doctor’s role is to provide the critical clinical information and medical judgement that provide the foundation for a successful plan. Start a conversation with your doctor today take the next step forward in your home health care needs.  To learn more about the different types of home health care, contact Edison Home Health Care to find out what services will best suit you or a loved one. Parkinson’s is a progressive degenerative disease of the nervous system. In its initial stages, it primarily affects movement, with sufferers experiencing body tremors, stiffness, slowness of movement, stooped posture, impaired balance, and changes in everything from facial expression to handwriting. As it progresses, psychiatric symptoms such as depression and sleep disturbances, as well as digestive, urinary, and skin problems, are also common. For formerly able-bodied, independent individuals, Parkinson’s symptoms can take a psychological, as well as physical, toll. Adjusting to a progressive loss of bodily function and autonomy can be extremely stressful, adding to the difficulty of dealing with the disease and exacerbating symptoms. For individuals with Parkinson’s, as well as for their caregivers and loved ones, dealing with this stress is an important way to promote quality of life. One way of dealing with stress is allowing the person with Parkinson’s to remain proactive in their own care. Encouraging them to make decisions for long-term care while they are still relatively independent can give them a sense of greater self-determination, and reduce worries about a complete loss of control over their life as the disease progresses. Facilitating independent living by adapting the living environment to changing abilities is another great way to ease the transition to greater disability. Making adjustments in the home to ease tasks like meal preparation and bathing, and to make moving around safer for someone with compromised walking ability, is a great way to help someone with Parkinson’s stay in the comfort of their home for as long as possible. In addition to promoting independence for as long as is appropriate, there are many other ways for people with Parkinson’s to reduce their stress. Spending time outdoors and engaging in moderate exercise (as physical condition allows) are powerful ways to encourage a sense of wellbeing and alleviate stress. Taking part in favorite hobbies and maintaining an active social life are also tremendously beneficial. Some Parkinson’s sufferers find Parkinson’s support groups helpful, as they allow people to share worries, fears, and coping strategies in a safe and supportive environment with people who understand the challenges they are facing first-hand.